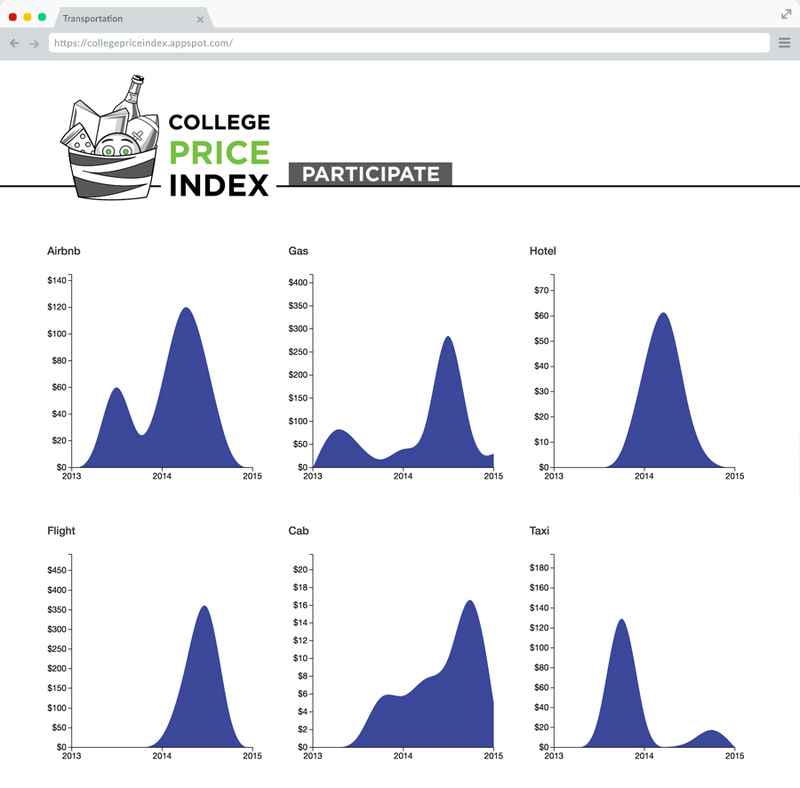 College Price Index is a collaborative project I helped build with a team of four during MHacks (University of Michigan's hackathon). 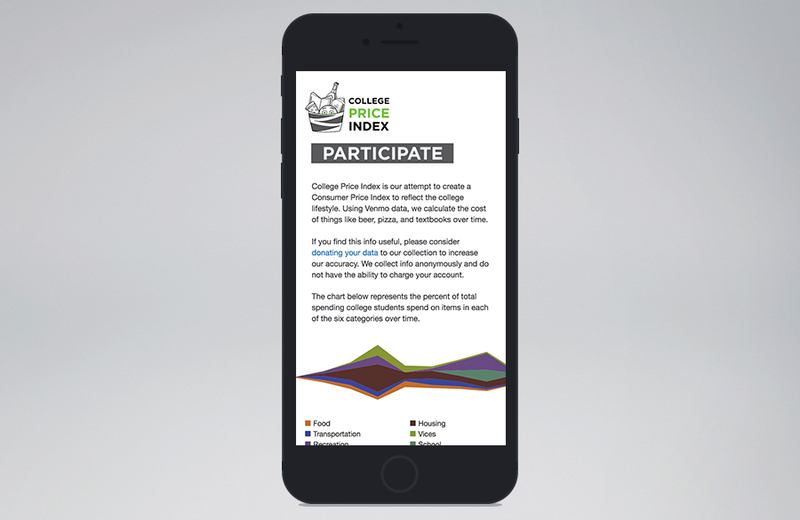 Inspired by the Consumer Price Index and using venmo data, our website calculates the cost of a college lifestyle. 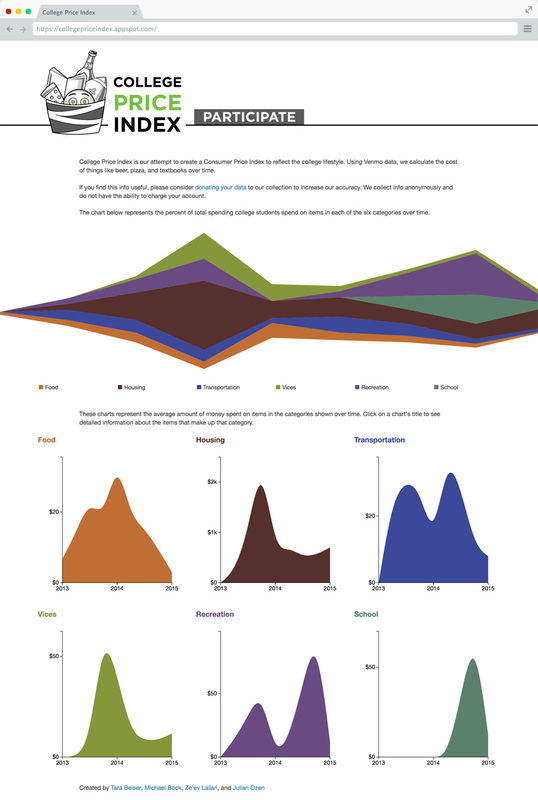 The charts represented on the page reflect the percent of total spending within six categories (Food, Transportation, Recreation, Housing, Vices, and School). Click on a chart's title for further information of which specific items make up that category. The website works on all major devices.